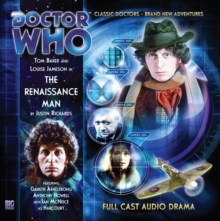 This range of two-part audio dramas stars Tom Baker reprising his most popular role as the Fourth Doctor (from 1974 -1981) with a number of his original TV companions. 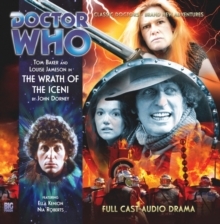 This fourth series reunites the Doctor with savage warrior Leela (Louise Jameson) for adventures across Time and Space! There are dark skies on Krelos...and something gigantic is descending. Meanwhile, the Doctor and Leela set off for some fishing in the mountain pools of Krelos. K9 has interfaced with the TARDIS and has reactivated the architectural configuration from the days of the Doctor's second incarnation. In passing, the Doctor notes it could do with a good clean. And there's a familiar piece of material snagged on the console. Far up the mountain, an aged explorer is in trouble. Will the Doctor and Leela be able to save him and his planet? And what is it that K9 has discovered in the TARDIS? 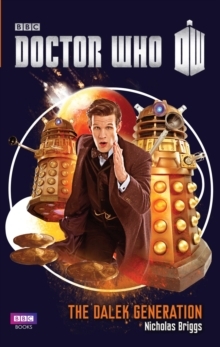 The fourth series in a Big Finish range which is hugely popular with fans of the classic TV series Doctor Who. Michael Cochrane is a familiar face from over 40 years of British television including roles in Downton Abbey, Doctors, No Job for a Lady, The Citadel, Love in a Cold Climate and, of course, Doctor Who. 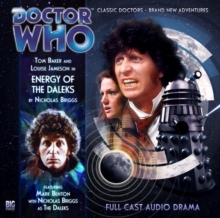 Tom Baker's 80th birthday was marked by a special anniversary interview release from Big Finish. As well as Doctor Who, Louise Jameson has been seen in Bergerac, Eastenders, and many other UK shows and has written one of the scripts in Big Finish's impending Survivors - Series 2. 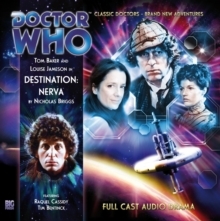 CAST: Tom Baker (The Doctor), Louise Jameson (Leela), John Leeson (K9), Michael Cochrane (Geralk), Veronica Roberts (Relly/Krelos Mayor).